It is with a heavy heart that I write this post. 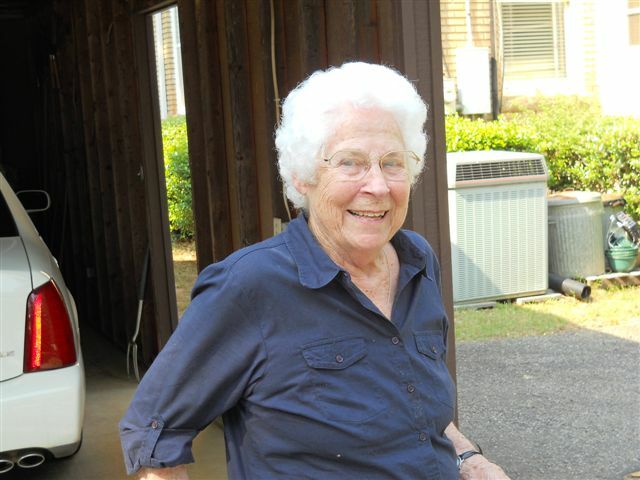 My father’s cousin, Betty Whitehead Sweeny died suddenly this past week. Betty was technically my first cousin once removed. It was weird to address her as such, so I called her Aunt Betty. I did not know her well. But, I felt that she was a key connection to my father’s side of the family. You see, my father’s father, Fred Whitehead, joined the Army as a young man and essentially never returned home. He met and fell in love with a city girl, Margaret Kersten. I do know that the family did take family trips to Georgia over the years, but it is not the same as remaining geographically close with family. Betty was born Mary Elizabeth Whitehead on 14 September 1927 to her parents Walter Joe Whitehead and Emma “Chloe” Adams. She was the second child born to this union. We know a lot about her early life as her mother, was the family historian. 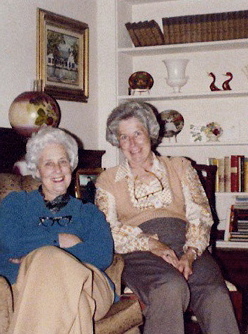 Her children Mae and Betty published The Adams Family James Adams Line upon her death. In that book a classmate had written in her Wesleyan Annual, “In Betty, we find a combination of ideal standards, quiet understanding, loyalty and dependability all rolled into one. Outstanding in all athletics, Betty is a living example of one who has the courage of her own convictions, and her sincere friendliness is felt by all who know and love her. ..Those who know her well can see clearly personified in her a ‘wagon hitched to a star (p. 324).’ ” As I reflect on this quote, I bet people would say the same thing about her today 67 years later. I regret never making a visit to the family home before she passed. Believe me, it will be a regret that I will have to live with. In an email she wrote to family after the passing of her sister, Mae, she talked about being prepared to lose someone. “God prepared me for losing Mae through my listening now and in the past month to Billy Graham’s book “Nearing Home: Life, Faith, and Finishing Well”. I will listen again.” I think I will have to take a look at that book. For those of her that knew Betty, I am so sorry for your loss. I know she will be missed by all who loved her.